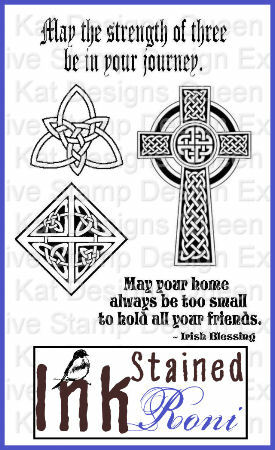 Artwork licensed for rubber stamps by Roni Johnson of Ink Stains With Roni (mine is the double trinity design on the top left). Roni has a great crafting website on her blog, Ink Stains With Roni. To view or purchase the stamps, visit Queen Kat's Stamps.